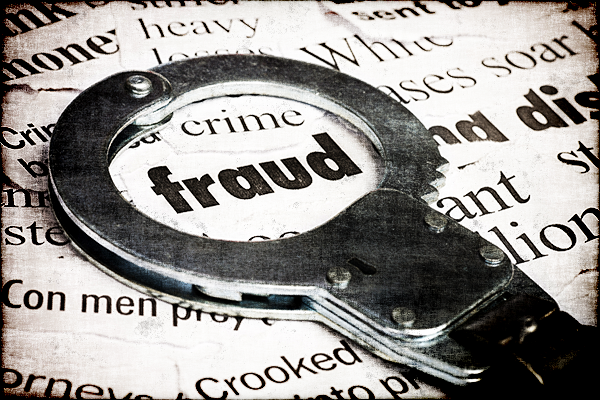 In a press release issued on April 27, 2018, the U.S. Attorney's Office for the Western District of Texas detailed the conviction in sentencing of two Nigerian nationals for their roles in a Stolen Identity Refund Fraud (SIRF) scheme. That case underscores the more serious consequences of asylum fraud in the United States. Neither defendant had any documents establishing who they were or where they were from. Both claims were eventually denied by DHS because these claims were false. Both defendants could not be deported back to Sudan, since they were not from Sudan, so they remained in the U.S. and were given permission to work. [U]sed their time in the United States to participate in a fraudulent scheme to steal the identity of hundreds of U.S. citizens and exploit those identities for financial gain by filing fraudulent tax returns and by opening credit cards in the names of the victims. They also laundered the proceeds of other fraudulent activity in furtherance of the conspiracy. The intended loss of the fraud conspiracy was approximately $3.9 million dollars. The non-asylum fraud aspect of that case was rather straightforward. The defendants, among other means, used cleaning services that they operated in the Austin, Texas, area to obtain the personal identification information (PII) of their victims in the United States. Specifically, they "loot[ed]" offices that they cleaned for PII. "Among the locations victimized" through the scheme "were medical facilities, where patient files were stolen," as well as "the ARC Pooled Trust of Greater Austin, which helps provide Financial Security Services to people with developmental and physical disabilities." There are many significant points to be made about this case. First, the case makes it clear that even aliens who are unsuccessful in their fraudulent asylum claims can still game the asylum system to remain in the United States. The testimony of the applicant may be sufficient to sustain the applicant's burden without corroboration, but only if the applicant satisfies the trier of fact that the applicant's testimony is credible, is persuasive, and refers to specific facts sufficient to demonstrate that the applicant is a refugee. This is a necessary protection for those who are legitimately fleeing persecution, but it is easily exploited by aliens bent on asylum fraud. Third, the case debunks any contentions that all aliens entering the United States illegally are simply seeking a better life, at least as that phrase is commonly construed. The defendants in this case were able to exploit the humanitarian impulses of the people of the United States in order to defraud those who were eager to assist them, had they been legitimate asylum applicants. Finally, the case of these two defendants demonstrates why it is often difficult for the Department of Homeland Security (DHS) to obtain travel documents for aliens who have been ordered removed. Under section 241(b)(2)(A)(i) of the INA, an alien (other than an arriving alien) may designate a country to which he or she wishes to be removed, and with limited exceptions, the government will attempt to remove the alien to that country. The INA further provides that the U.S. government may disregard that designation if the country designated is not willing to accept the alien. If the U.S. government did not know, however, that an alien was fraudulently claiming to be a national of a third country, or did not otherwise know the true nationality of an alien, removal would be next to impossible. Release would, in most cases, be inevitable, as it was here. Restitution in this matter was set at $1,358,489, which is probably the actual amount that the two defendants were able to steal. Taking advantage of the humanitarian instincts of American people can be lucrative, so long as you don't get caught.